The Akshaya Patra Foundation is involved in implementing the Mid-Day Meal Scheme among Government schools and Government-aided schools. 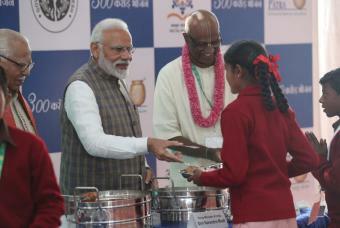 It has been recognised as the world’s largest NGO run mid-day meal programme. Currently the Foundation operates in 20 locations across 9 states of India through its centralized and decentralized kitchens. The present statistics reveal that Akshaya Patra’s mid-day meal programme is reaching out to 1.3 million children everyday. Akshaya Patra is steadily moving towards achieving its vision of “No child in India shall be deprived of education because of hunger”. It aims to reach 5 million children by 2025.